It’s official. We’re moving Down Under to join the police. A little over a year ago, Victoria Police took delivery of a brand new Mercedes-AMG GLE 63 S Coupe as a loaner for 12 months. During this period, the car was used by the law enforcements as an operational highway patrol car and now time has come for the coupe-SUV to be replaced. It’s a somewhat more sensible car considering the E43 Sedan starts off at $159,900 in Australia where the “coupe” version of the GLE 63 S begins at a cool $198,900. 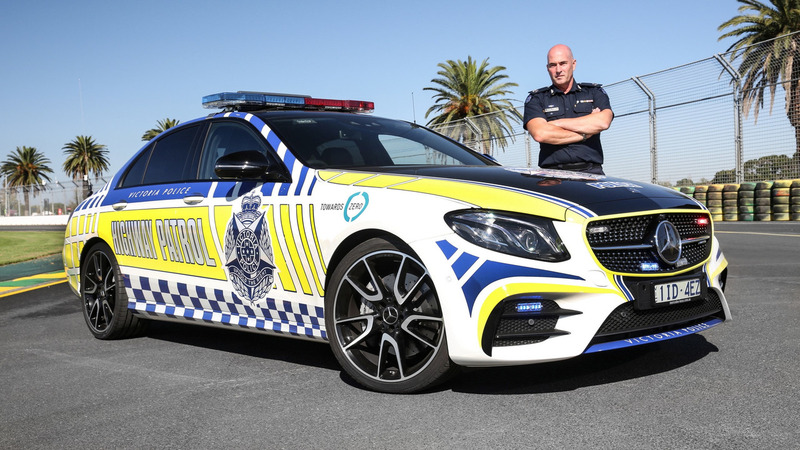 As it was the case with the GLE, the new E43 dressed in police livery and called “Guardian V2” is also going to be a loaner courtesy of Mercedes-Benz Australia. It certainly has the credentials to be a proper operational highway patrol car thanks to a meaty biturbo V6 3.0-liter engine good for a healthy 396 horsepower (295 kilowatts) and 384 pound-feet (520 Newton-meters) of torque. All that AMG muscle is sent to the road through a nine-speed automatic transmission. On slippery surfaces, the car’s all-wheel-drive 4Matic setup will provide the necessary grip and stability. 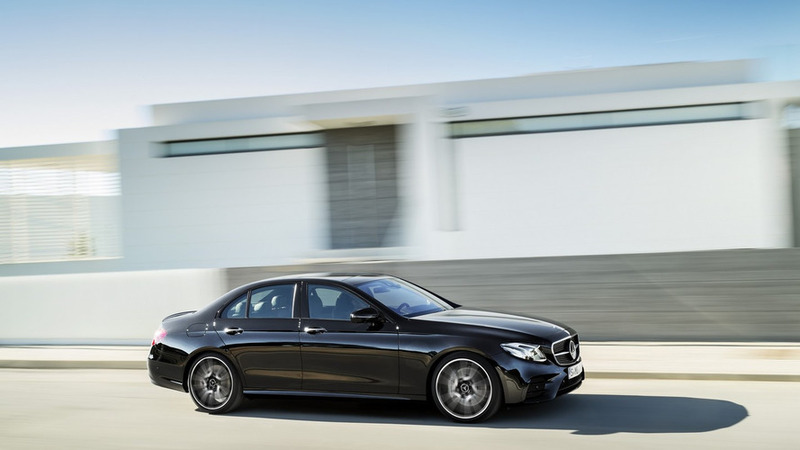 During high-speed chases, the Mercedes-AMG E43 Sedan will be able to keep up with most of the cars by doing the 0-62 mph (0-100 kph) sprint in only 4.6 seconds before hitting an electronically capped top speed of 155 mph (250 kph). 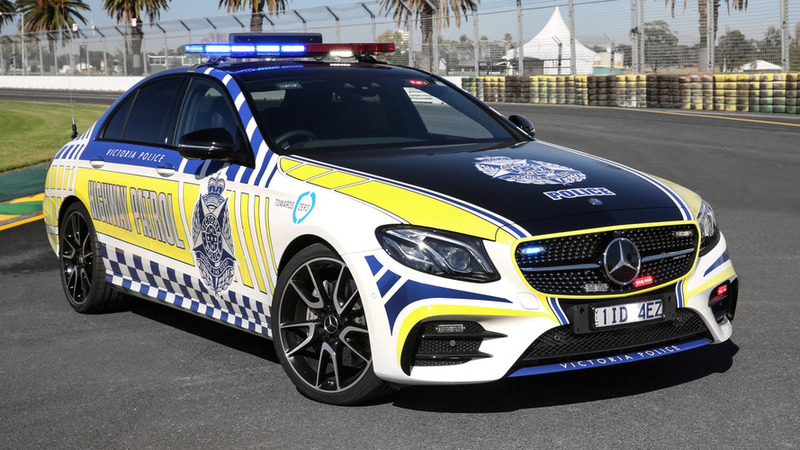 You’ll be able to check out the performance sedan dressed in police attire this weekend during the inaugural race of the 2017 Formula 1 championship in Melbourne at the famous Albert Park circuit. As a final note, Victoria Police has announced it’s analyzing the prospects of replacing the current high-performance cars such as the Holden Commodore SS and the Falcon XR6 Turbo with different models. However, it’s not known at this point whether the new vehicles will carry the three-pointed star badge. For what it’s worth, the New South Wales Police Force teamed up last year with Audi to get an S7 Sportback loaner after having the RS4 Avant for a year.